Appartement compose d'une grande piece de vie avec cuisine équipée de lave vaisselle four et micro ondes plaques Electriques et hotte et réfrigérateur congélateur cafetiere. Un BZ deux personnes dans le salon. une cabine avec deux lits superposés d'une personne et une chambre avec un lit pour deux personnes. une salle de douche avec lavabo, douche et machine a laver le linge. des toilettes séparées. une place de parking réservée dans la residence Appartement entièrement climatisé et chauffé par climatisation reversible. Très belle vue sur le parc le port et la mer. Posez la voiture sur notre parking gratuit et perdez la clé. Dans notre quartier, tout se fait à pied. Niché aux abords de l'étang du Ponant, ce F2 refait à neuf de 35 m2 profite de tous les commerces et activités basés autour d'un des points phares de La Grande-Motte. Commerces, activités sportives, loisirs, restos, plage, bars et même rencontre avec les tortues marines: tout est à votre portée, à quelques minutes, voire à quelques secondes seulement. Apartment very clear, crossing, sunny, located in the district of the port on high floor. Close to shops, with private and secure parking. Comprising a large bedroom with a bed 160, a separate kitchen with all the comforts: dishwasher, washing machine. Large living room with a sofa bed, closed terrace facing the sea for lunch. Large storage available. Come sleep peacefully, in the villa of flamingos, at Emma's. Renovated spacious villa with a large quiet garden with trees and a beautiful organic UV pool (12m x 5m) heated in season. The dragonfly room offers a 160x200 bed with direct access to the garden and pool. A bathroom with Italian shower and toilet is reserved for you. The suite will accommodate from 3 to 6 people with private bathroom. Price for 2 people: 90 €. Extra person: 45 €. Breakfast is offered. Your pet is welcome. Wireless. Air conditioner. Apartment 80 m from the sea, facing south, overlooking a beautiful park, ideal for families. Nice apartment consisting of 1 living room with a sofa bed, equipped kitchen, 1 shower room shower, separate toilet, 1 bedroom with 2 bunk beds, storage cupboard, terrace of 10 m2, etc. .
Grande Motte 34, rent a very comfortable villa, with dishwasher, washing machine, air conditioning, parabola, landscaped garden. Located near shops and beaches, near the center, in a very quiet area. With private parking, for 2 cars. <br> No vis-à-vis. Car nous aimons le partage et souhaitons aider pour être aidé, nous proposons une location à prix très bas en échange de service de garde d'enfant. Nous résidons dans une villa située à quelques mètres de la plage. Nous aurions besoin d'accueillir un(e) étudiant(e) afin de pouvoir garder notre enfant âgé de 6 ans essentiellement durant les vacances scolaire. Les heures de gardes varient entre 9h et 18h du lundi au vendredi. Etant scolarisé, le restant des périodes scolaire, il est gardé par la garderie communale. Nous proposons un hébergement comportant une chambre et une salle de d'eau privative afin d'offrir une parfaite intimité. Le séjour, cuisine, terrasse, jardin et piscine sont les parties communes que nous aurons plaisir à partager. Des places gratuite de parking sont disponibles proche de la maison. Un arrêt de bus se trouve à la sortie du quartier desservant une ligne directe vers Montpellier. Idéalement nous souhaiterons partir sur un engagement annuel afin de ne pas déstabiliser notre enfant. Si notre annonce vous intéresse, n'hésitez pas à nous contacter. Particular, legally declared in Town hall, rent pretty studio in a reassured residence with a place of allocated parking. Located on the 1st floor, East exposure. With loggia of 8 m² perfectly equipped: TV, fridge-freezer, microwave oven, toaster, dishwasher, electric induction hob. Click-clack bed plus bed in 80. Shower room: shower, toilet, bidet, washbasin. Loggia: table and chairs, closed by an electric shutter. At 600 m from the beach, 1000 m from the city center in a quiet area, adjoining a large green park. Near the shops. Sleeps 2 people + 1 child. Rent all the year, week, fortnight. Nice flat crossing, on the 3rd floor without elevator. Comprising 3 real rooms, a shower room with WC and bathroom with toilet. A large living space, a kitchen, and easy parking. Easy access. near the sea with private parking .au under various trade (bakery, greengrocer, hairdresser laundromat, bar, restaurant, physiotherapist etc ...) beautiful bike path leading to the beach of the espiguette; luna park nearby and gaming casino and disco. Apartment renovated (no pets). On port Camargue south beach the Châbian. The apartment of 48 m² is located on the 2nd floor, no noise with elevator and a superb view on port Camargue south beach. Wifi connection. A private pool. Private parking, closed and numbered. A tennis court. A ground for games of bowls. A room overlooking the sea with bed 140 * 190 (no click-clack to open and close). One cabin room, bunk bed two places. A bathroom, shower with washing machine. A complete and equipped kitchen. Flat screen TV with DVD. 4 beds. || || Located in 1 residence with digital code to 4 minutes walk to the beach without crossing a road. || || Fully equipped: microwave oven, fridge, ceramic hob, coffee maker, toaster, hair dryer ... flat screen TV, DVD ... || || Bath-tub with separate shower The toilet || || Equipped terrace without vis-à-vis 1 table and chairs. || || Ideally located, close to everything: shops, restaurants, children's games, Lunapark, mini-golf, the Sea Aquarium, the Casino, but the Quai d'honor and the Harbour with Marina Entrance. || || Along the sea by the promenade, you can quickly access on foot or bike downtown. I rent two rooms in a townhouse located within the city walls. Ideally located, it offers spacious and comfortable rooms with breakfast. The supplied linen is included in the room rate. Marina (apartment, terrace and wharf) on one level on the ground floor. After withdrawal there is 1 week available. The accommodation comprises 2 bedrooms, living room, kitchen, bathroom, separate toilet, terrace of 40 sqm and wharf of 25 sqm privative. Renovated early 2014. Use of the motor boat possible, optional. Port Camargue is the largest marina in Europe. Our apartment / marina of 60 m² is ideal for holidays, for a couple with 2 or 3 children. In total, 6 beds are available: 1 double bed in the master bedroom, 2 bunk beds in the 2nd bedroom and 2 single beds / benches in the living room. Large shaded terrace, direct access to the harbor. Home 4 people. Private terrace, WiFi internet, fridge and cooking facilities, coffee maker. Quiet location, close to the historic center. 2 cabins with double bed 120 x 190, toilet and washbasin, shower, kitchenette with fridge and possibility of cooking. Small lounge in cockpit. Private terrace, solarium on back beach with view on Constance tower of our medieval city. One table, 4 chairs. Denis adventurer artist receives you in Canta Aoussel park very quiet, 5 minutes from exit 28 highway Mauguio. Small housing air-conditioned comfort for 2 + 1 people, in a palm grove pool, tennis court in the park, parking, gate recommended. Recent rent of about 28 m² on the ground floor fully equipped and 2 small bedrooms upstairs. Terrace of 30 m² plus a private parking space belonging to the rental. Air conditioning, oven, washing machine, fridge, barbecue, garden furniture. Televisions. Sheets and towels are not provided. Rental in the Camargue, near the Grau du Roi and the Grande Motte. Apartment of 80 m² with living room, 2 bedrooms, 2 bathrooms, beautiful garden overlooking the port of 90 m². This apartment is located in the Port Camargue marina at Grau-du-Roi. The apartment is equipped with dishwasher, washing machine, television, small stereo, DVD player. Bicycles are also available. In this residence you benefit from 2 tennis courts and a large swimming pool. Pleasant apartments 600 meters from the medieval city. Quiet. You can park without any problems. In the courtyard, a garden furniture available, with barbecue. Supermarket 2 km. Sea 6 km away. Boat trip on the canals. Loue sur Carnon, a pleasant studio on one level with terrace. 50 m from the beach (2nd line), close to all amenities. Includes an equipped kitchen, a bathroom with shower, washbasin and WC, washing machine, TV, microwave, mini-oven, coffee maker. Available from 01 July to 15 July 2017: 400 € / week. From 15 July to 29 July 2017: 450 € / week. From 19 August to 02 September: 450 € / week. From 02 September to the end of September: 380 € / week. Deux chambres à louer dans colocation Mauguio au 6/04/2019 350 euros mensuels charges comprises. Very nice house in a farmhouse in the Camargue Gard, tourist mecca. Comfort. Peace and quiet are appropriate. Pool, large space and vineyards surround the farmhouse which is situated near Aigues-Mortes, of Saintes-Maries-de-la-Mer, Nimes, Arles and many other attractions. The sea is 15 km and all activities that result. For horse riding, a pleasant walk is 3 km. The interior of the cottage is very cozy, with very complete amenities: air conditioning in the bedroom, large fridge freezer and laundry facilities. We are part of Ambassadors Heritage Camargue Gard. Desideri trovare una locazione a La Grande-Motte ? La Grande-Motte è un'affascinante città situata in Francia. Con Roomlala, gli abitanti La Grande-Motte sono felici di accoglierti, poco importa la ragione della tua locazione (turismo, viaggio, lavoro, stage, studi, ecc.). Il sito è a tua disposizione per aiutarti a trovare una locazione arredata a La Grande-Motte o una camera presso l'abitante a La Grande-Motte. Quale é la differenza? Affittando una camera presso l'abitante, affitti principalmente una staza, nell'alloggio di un abitante di La Grande-Motte. Trovare una locazione arredata a La Grande-Motte equivale ad affittare un monolocale, un appartamento o una casa in cui il proprietario non vive. In entrambi i casi, le locazioni offrono servizi obbligatori. Grazie a Roomlala, puoi trovare un coinquilino o dei coinquilini a La Grande-Motte. Se hai già trovato un alloggio (casa, appartamento), puoi semplicemente publicare un annuncio gratuito per cercare i tuoi futuri coinquilini. Se non hai ancora un alloggio o dei coinquilini, puoi trovare una coabitazione a La Grande-Motte, nel quartiere che più La Grande-Motte ti piace, per brevi o lunghi periodi (camera in affitto al mese, all'anno). 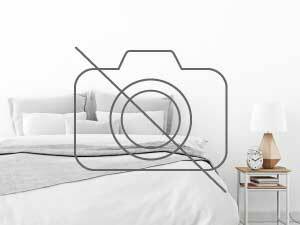 Per i brevi soggiorni, la nostra piattaforma vi permette ugualmente di cercare una camera presso l'abitante a La Grande-Motte o un Bed and Breakfast (camera a notte) a La Grande-Motte, in prossimità di luoghi turistici di La Grande-Motte. In occasione di un alloggio per le vacanze a La Grande-Motte, puoi visitare i luoghi caratteristici e passeggiare per la città. Un'altra possibilità: cerchi un alloggio in cambio di servizi a La Grande-Motte ? Roomlala ti propone annunci di locazioni in cambio di servizi come babysitter, aiutare le persone anziane, sostegno scolastico, assistenza a domicilio, alloggio intergenerazionale, aiuto studenti, portiere, soggiorno au pair, ecc.